Vandals dug holes in the 13th fairway of the club's Championship Course, spray-painted parts of the course and poured a chemical, believed to be bleach, on the grass, according to the Loudoun County Sheriff's Office. Deputies found empty containers of bleach at the scene, the sheriff's office said. The vandalism was reported Saturday morning, the day before President Donald Trump arrived at the club to play golf with Sen. Rand Paul. This isn't the first time Trump National has been vandalized. The course was vandalized last November, shortly after the 2016 presidential election. The president has visited Trump National twice in the last two weeks. 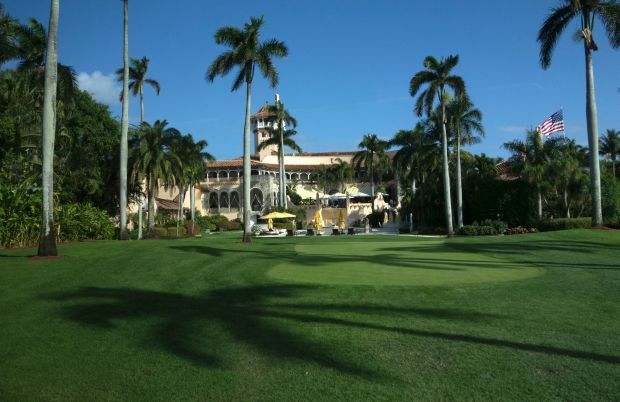 On March 25, The Hill reported Trump held several meetings at the course clubhouse.